The founder of the line Ôtani Hiroemon I took his name at an unknown date and held it up to the 2nd lunar month of 1721. The actor Ôtani Hiroemon II held this name from the 11th lunar month of 1745 to the 12th lunar month of 1745. The actor Ôtani Hiroemon III held this name from the 11th lunar month of 1762 to the 9th lunar month of 1790. Dates of birth and death unknown. Son of Ôtani Hiroemon III. His first stage names were Ôtani Kanematsu and Nakamura Shichiji. 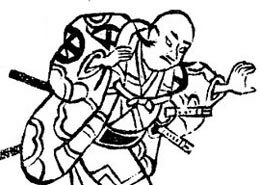 He went on tour in Kamigata with his father in 1782 and replaced him on stage when he fell ill. Back in Edo, he became wakaonnagata and took the name of Sanjô Kantarô IV in the 11th lunar month of 1784 at the Nakamuraza, playing in the kaomise drama "Ôakinai Hiru-ga-Kojima". 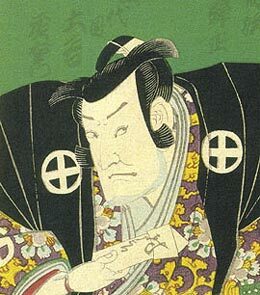 He became katakiyaku in 1787 and took the name of Ôtani Kunizô II in the 11th lunar month of 1787 at the Kiriza, playing in the kaomise drama "Sanga no Shô Mutsu no Hanayome". His father died the 14th of the 9th lunar month of 1790 and he took the name of Ôtani Hiroemon in the 11th lunar month of 1794 at the Kiriza, playing in the kaomise drama "Otokoyama Oedo no Ishizue". His name appeared for the last time in a theater playbill in 1798. He was never acknowledged by the Kabuki world as the fourth in the Ôtani Hiroemon line of actors. 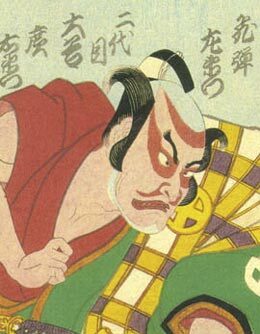 The actor Sakata Hangorô IV held the name of Ôtani Hiroemon IV from the 11th lunar month of 1814 to the 10th lunar month of 1822. 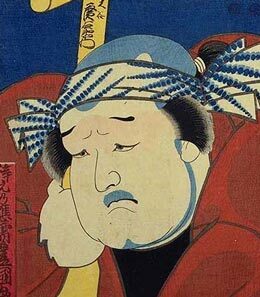 Born in Edo in 1804. he started his career as a disciple of the actor Ôtani Hiroemon IV (? ), who gave him the name of Ôtani Manroku. He took the name of Ôtani Daisaku in the 7th lunar month of 1836 at the Moritaza, playing a minor role in the drama "Honchô Nijûshikô". 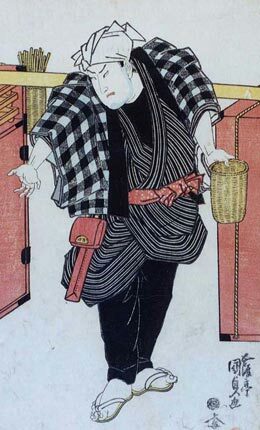 Then he took the name of Ôtani Mansaku in the 5th lunar month of 1839 at the Ichimuraza, performing in the drama "Hana Shôbu Ukiki no Kameyama". 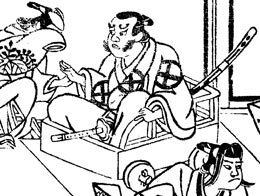 He finally took the name of Ôtani Hiroemon V in the 8th lunar month of 1848. His career started to decline afterwards and his name did not appear often in the theater playbills up to his death the 13th of the 9th lunar month of 1855. He was a good supporting jitsuaku actor during all his career. Minor and almost unknown actor in Kamigata. Was he a disciple of Ôtani Hiroemon V? His first stage name was Ôtani Hirogorô II and he took the name of Ôtani Hiroemon VI in the 1st lunar month of 1869.